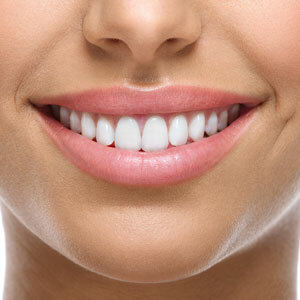 Looking for Clear Braces in Bulimba? Thanks to clear Invisalign® orthodontics, you can experience what it’s like to have a straighter, healthier smile without wearing traditional braces. Our Bulimba family dentist is happy to offer Invisalign® right here in our office, so there’s no need to refer you to a specialty clinic. Translucent braces may be just what you’ve needed to let your personality shine through. Adults make great Invisalign® patients. In fact, you’re never too old to get braces. Wearing Invisalign® may be the perfect way to help you boost your oral health, reduce your cavity risk and better manage gum disease. That’s not to mention the added self-confidence you can experience when you feel great about how a straighter smile looks. Crafted from BPA-free materials, Invisalign® is designed to be almost invisible when it snaps over your teeth. Most people will never notice your aligners in casual conversations. With Invisalign®, you can feel confident straightening your teeth with the industry leader when it comes to removable aligners. Not sure about wearing Invisalign® braces for 12-18 months? Ask about the rapid orthodontic Invisalign® option known as i7. These accelerated aligners let you straighten your front teeth in just three months. Plus, they’re only a fraction of the price of what comprehensive Invisalign® costs. Change your aligners out every two weeks and we’ll only need to see you 3-4 times throughout the course of your treatment. Are Invisalign® braces right for you or your teen? Schedule a consultation to get a customized treatment plan today.